2. It improves the understanding. Ibram X. Kendi is a best-selling author, an award-winning historian, and a professor of history and international relations at American University. His most recent book, Stamped from the Beginning: The Definitive History of Racist Ideas in America, won the National Book Award for Nonfiction. is a pure folktale, unsupported by historical evidence. The true historical development of racist ideas occurs in the inverse process: self-serving policies instituted by the powerful are inherently discriminatory, leading to the propagation of racist ideas to justify them, leading to ignorance and hate in the gullible masses who buy into these packaged ideas. Racial discrimination –> racist ideas –> ignorance/hate. Then where do racially discriminatory policies come from, if not ignorance and hate? Kendi argues: self-interests. Racially discriminatory policies have usually sprung from economic, political, and cultural self-interests, self-interests that are constantly changing. Politicians seeking higher office have primarily created and defended discriminatory policies out of political self-interest–not racist ideas. Capitalists seeking to increase profit margins have primarily created and defended discriminatory policies out of economic self-interest–not racist ideas. Cultural professionals, including theologians, artists, scholars, and journalists, were seeking to advance their careers or cultures and have primarily created and defended discriminatory policies out of professional self-interest–not racist ideas. Racist ideas are then disseminated in order to support this self-interest, to obfuscate the nature of the discriminatory policies, and to discourage resistance to these policies. The principle function of racist ideas in American history has been the suppression of resistance to racial discrimination and its resulting racial disparities. The beneficiaries of slavery, segregation, and mass incarceration have produced racist ideas of Black people being best suited for or deserving the confines of slavery, segregation, or the jail cell. Consumers of these racist ideas have been led to believe there is something wrong with Black people, and not the policies that have enslaved, oppressed, and confined so many Black people. When you truly believe that racial groups are inherently equal, Kendi notes, then the logical consequence is that you also believe that racial disparities must be the result of influences outside of the people themselves, the result of social and legal patterns, racial discrimination. If this is true, then what can we do to move our country toward the elimination of racism in the future? Any effective solution to eradicating American racism must involve Americans committed to antiracist policies seizing and maintaining power over institutions, neighborhoods, counties, states, nations–the world. It makes no sense to sit back and put the future in the hands of people committed to racist policies, or people who regularly sail with the wind of self-interest, toward racism today, toward antiracism tomorrow. An antiracist America can only be guaranteed if principled antiracists are in power, and then antiracist ideas become the common sense of the people, and then the antiracist common sense of the people holds those antiracist leaders and policies accountable. Bird by Bird: Some Instructions on… Life. Anne Lamott’s Bird by Bird. The title is well-known. The subtitle? Not so much: Some instructions on Writing and Life. I chose to focus on the and Life angle of the book. The writing advice in the book is thoroughly cataloged in many other places. Below are some of my thoughts while reading. Life should be built like Papier-mâché. Tattered fragment after tattered fragment. Flung onto the pile, rising in a general direction. Messy, imperfect, but not aimless. Small additions, compounded. Art. Quality and quantity of attention matter. You have the choice to use them as you please. How you do so is your life. It is okay to not take life very seriously. We vastly overestimate people who have achieved something extraordinary. They are usually not much different from the average one of us. It is circumstances and environment that distinguish. No one’s first effort at anything is ever good. Lighten up and give it a whirl. Live your truth–and tell it too. The truth will set you free, and your truth may set others free. In the end, little is of any importance. Enjoy the freedom to err. Our paying attention or not paying attention shapes our experiences, which in time become our memories, our cumulative self. Attention, attention, attention is the bedrock of the human life. Doing is easy. Accepting what can’t be done is hard. Accepting what you’ve done is hard. An endless title, for such a brief poem. And a curious title. Three-fourths of the poem’s lines are about joy, the fourth about the titular ETERNITY. Those three little lines–that brief message–this brief moment–is pressed between ETERNITIES: in preface, in conclusion. William Blake is writing to teach us. He instructs us in two sets of coupled lines, composed in a structure of ‘wrong behavior-negative result; right behavior-positive result’. The behavior to be taught: the way to relate to the joys in life. Binding implies a resistance, either inherent in the nature of an inanimate object, or by the volition of an animate object. If something is bound, it is not free to go on its natural course, even as a bundle of grain is prevented from its gravitational scattering. To bind a joy to oneself, I take to mean a selfish appreciation of it. Whose ‘winged life’ is destroyed, the man’s? or the joy’s? Or both? Winged, can signify a life that is elevated, flying; it can signify a life that is transient, fleeting. Here, it may mean both. But: in contrast to the previous erroneous behavior. Notice the definite article change from ‘a‘ in line 1, to ‘the‘ here, indicating that these are two possible postures toward the same postulated ‘joy’. Joy flies. This supports the idea that the winged life that was destroyed was the joy’s. But it may have layers of meaning. Kisses the joy as it flies, is to allow the joy to remain unaltered in its course by your appreciation. Give the joy its autonomy, and let it fly as it will. Destroyed life is juxtaposed with Eternal life, suggesting that they may share an object after all, the man’s life. Eternity’s sun rise. Three words with tension in the spaces between. The sun rise is a marker of time, but in the timeless? The sun rise is a beginning, but does eternity have one? Perhaps it is a general image of red-hot, blazing joy. Or, quite likely, it is religious, literal in a sense. This is William Blake, after all. It could be a simple gospel of salvation through your relationship to life’s joys. Winged life, heavenly life, afterlife, renewal, a new day, a sun rise. Eternal life is destroyed through selfish joys. In sum: the enduring is wrought in the momentary. 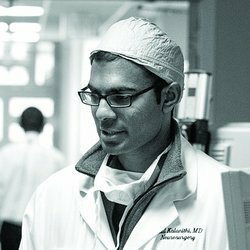 Paul Kalanithi (1977-2015), an Indian-American Neurosurgeon resident at Stanford, was diagnosed with stage IV metastatic lung cancer in the final year of his decade-long training to become a neurosurgeon. In this training, he had helped guide many patients through their medical crises, as they wrestled over the existential questions thrust upon them by their prognoses. He himself was then unexpectedly thrown into the same position. When Breath Becomes Air is his poignant memoir, written in the last years of his life, chronicling his journey through the medical world as both a physician and patient. The tricky part about illness is that, as you go through it, your values are constantly changing. You try to figure out what matters to you, and then you keep figuring it out. It felt like someone had taken away my credit card and I was having to learn how to budget. You may decide you want to spend your time working as a neurosurgeon, but two months later, you may feel differently. Two months after that, you may want to learn to play the saxophone or devote yourself to the church. Death may be a one-time event, but living with a terminal illness is a process. What is the best use of the life that we have left? It is a question we all face, but perhaps not with the same solemnity of those who are terminally ill. For Paul, this question was quite difficult to answer. Grand illnesses are supposed to be life-clarifying. Instead, I knew I was going to die–but I’d known that before. My state of knowledge was the same, but my ability to make lunch plans had been shot to hell. The way forward would seem obvious, if only I knew how many months or years I had left. Tell me three months, I’d spend time with family. Tell me one year, I’d write a book. Give me ten years, I’d get back to treating diseases. The truth that you live one day at a time didn’t help: What was I supposed to do that day? The most obvious [response to his terminal cancer diagnosis] might be an impulse to frantic activity: to “live life to its fullest,” to travel, to dine, to achieve a host of neglected ambitions. Part of the cruelty of cancer, though, is not only that it limits your time; it also limits your energy, vastly reducing the amount you can squeeze into a day. It is a tired hare who now races. And even if I had the energy, I prefer a more tortoise-like approach. I plod, I ponder. Some days, I simply persist. Most ambitions are either achieved or abandoned; either way, they belong to the past. The future, instead of the ladder toward the goals of life, flattens out into a perpetual present. Money, status, all the vanities the preacher of Ecclesiastes described, hold so little interest: a chasing after wind, indeed.